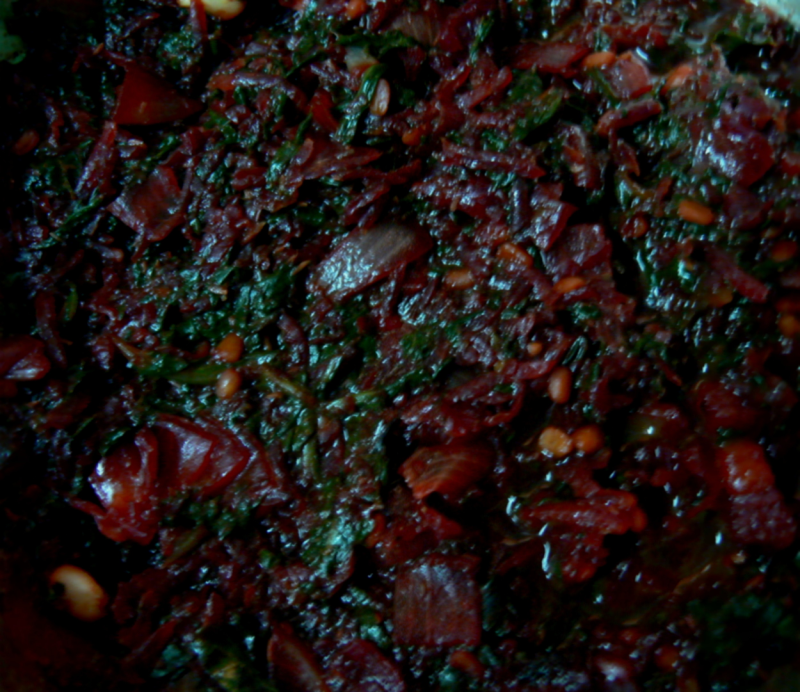 This Palak-Beetroot Fry is an easy side-dish only needs 11-12 mins microwave cooking-time. This side-dish is a good combination for rice with Sambar,Kara Kuzhambu or chapathis. Take a microwave bowl .Add refined oil,chopped onions,cumin seeds,mustard seeds,split urad dhal gramdhal and curry leaves. Add all the other ingredients except grated coconut including 1 cup water and Microwave(high) this for 7 mins. Take the bowl out after 7 mins and mix the mixture well. Again microwave this on high for 5 more mins or till water runs dry. Serve this Palak-Beetroot Fry hot with rice and Sambar or Kara Kuzhambu or chapathis. Salma, gram dhal should be mentioned as split gramdhal and this split channa dhal is used for seasoning or tadka, preparing Masala Vada and Thattai(see in Thattai pic, where its used very little). what is gram dhal-kadalai paruppu must tell me coz i want 2 make this recipe.